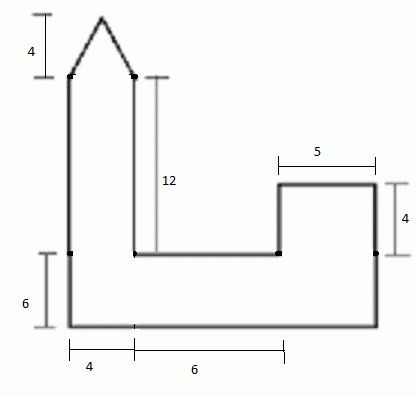 This worksheet hep you to understand how to calculate the area of the irregular shapes. The irregular shapes area can't be calculated directly because there is no separate formula for irregular shapes, so the irregular shape must be converted into possible standard shapes such as rectangle, semi-circle, etc. 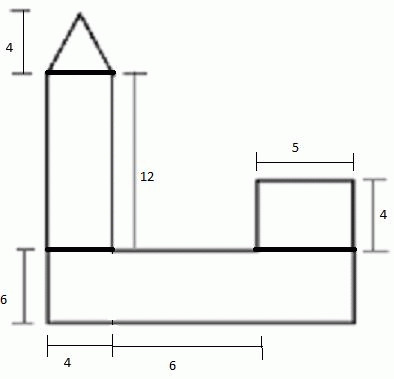 Calculating the area for all of the possible shapes and adding them will give you area of irregular shape. Calculate the area of the following figure. step1: Convert the irregular shapes into possible standard regular shapes. Hence the required Area of the given figure is 166. When it comes to calculation, you can use this area volume calculators to find area of separate shapes.